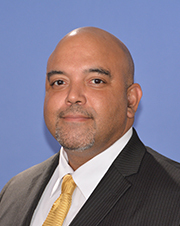 Jason Wilson serves as the Division Director of Real Estate Management and Development for the Miami-Dade Aviation Department. He is responsible for maximizing revenue from Airlines, Terminal, Permits, Cargo, Maintenance and Repair Operations, and Commercial Real Estate at Miami International Airport, as well as from the County’s four general aviation airports: Miami-Opa Locka Executive; Miami Executive (formerly Kendall-Tamiami Executive); Miami Homestead General; and Dade-Collier Training and Transition. Mr. Wilson brings 13 years of experience as the Administrative and Development Manager at Baton Rouge Metropolitan Airport (BTR), which entailed diverse experience in airport real estate and concessions management, risk management, economic development, legislative lobbying and commercial real estate development. He has had success in coordinating more than $250+ million in several new airport developments, including the establishment and branding of an Aviation Business Park at BTR. In addition to his public service, Jason also has more than 20 years of private sector experience in commercial real estate development. During his career, he has served on several committees for Airports Council International – North America (ACI-NA) and the American Association of Airport Executives (AAAE), including the organizations’ Economics, Legal, Business Diversity, Commercial Management, Finance, Risk Management, and Air Cargo committees. Mr. Wilson also served as Past President and Legislative Committee Chairman of the Louisiana Airport Managers Association. Jason is a veteran of the U.S. Army (active duty), a graduate of Southern University, and also holds a Master’s in Business Administration (MBA).